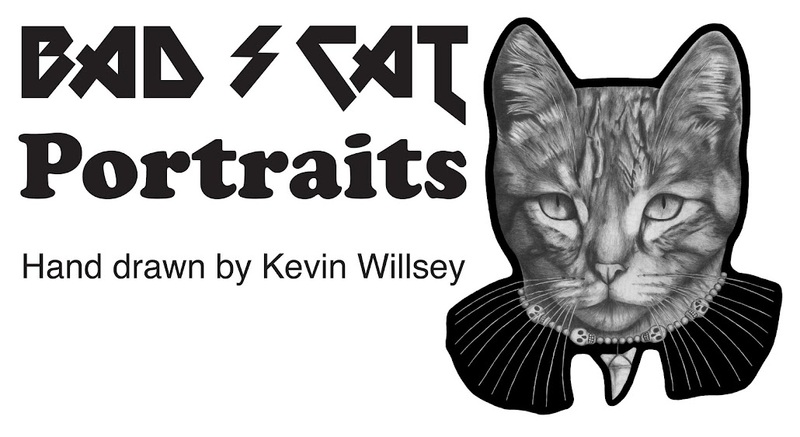 Pet portraits by kevin willsey: Want a portrait drawn? Do you have a lazy-laying-in-the-sun cat or a loving dog that you want a portrait of adorning your home walls? Maybe it's your new born baby you would like a portrait drawn of. I can do that! I put my stylish pencil skills to work giving your cat, dog, or person a unique portrait. I'm into hats, music, and bicycles. I love adding style to these portraits. What traits do you like to add for a unique portrait? 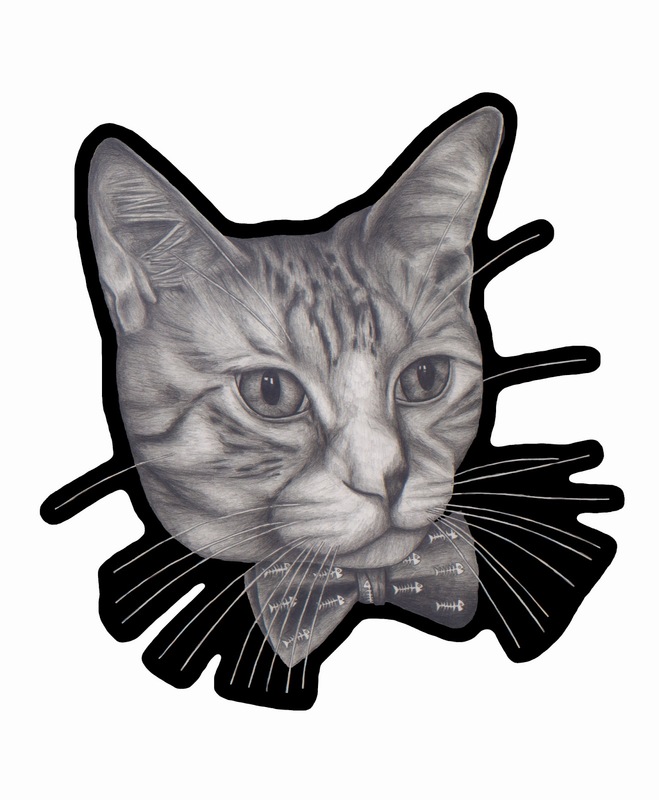 Cat with a bow tie, a dog with a winter hat, or a baby with an over sized powerful brain, I can draw that! The portrait is drawn on acid free 14" x 17" bristol paper. After the drawing is finished, I brush on a varnish over the drawing which protects it. This process also enhances the drawing. I am doing this for a great price, $200. I like to keep my art affordable and accessible to many people. All you need to do is provide me with a decent head shot of your pet or person, preferably in natural day light and with a digital camera. This makes for good detail needed to reference for a great pet portrait. Please e-mail me at ktwilllsey@gmail.com for inquiry. Cats, dogs, babies, people, and music related portraits are all in my portfolio for you to check out and enjoy.